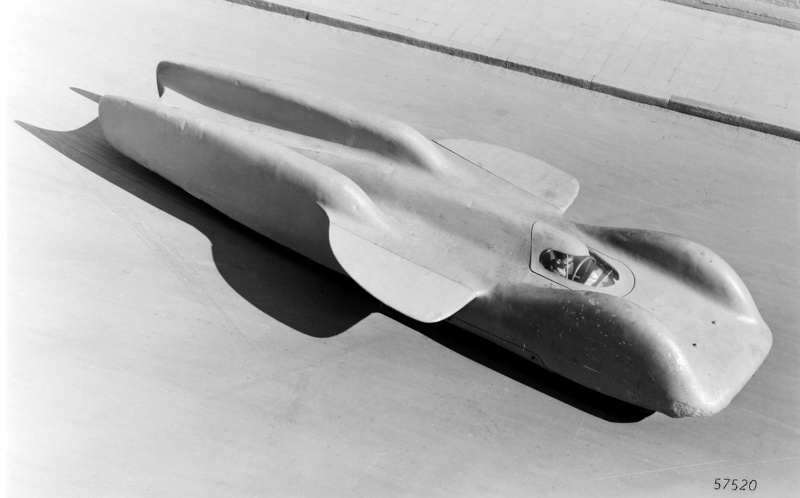 German auto racer Hans Stuck wished to capture the world land speed record for himself and Germany. In the late 1930s, he worked to put together a team to achieve this goal. 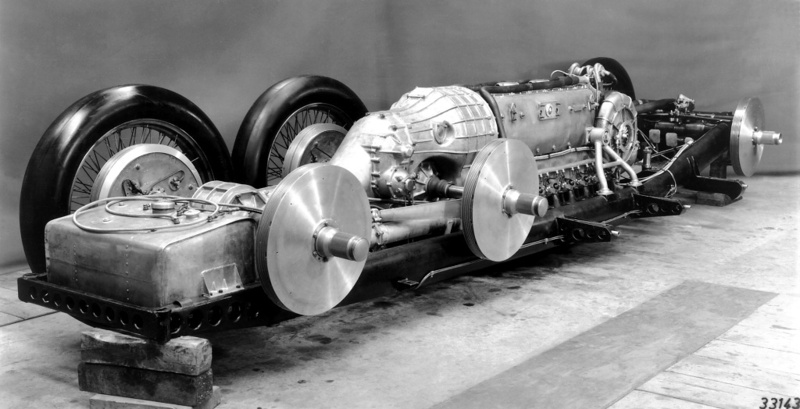 By 1937, Stuck had convinced Wilhelm Kissel, Chairman of Daimler-Benz AG, to have Mercedes-Benz develop and build the vehicle, which Dr. Ferdinand Porsche had agreed to design. Stuck also obtained project approval from Adolf Hitler, who saw the record as another propaganda tool to demonstrate Germany’s supposed technological superiority. This entry was posted in Automotive and tagged Land Speed Record on 1 October 2012 by William Pearce.